Disney presents “Saving Mr. Banks,” directed by John Lee Hancock, produced by Alison Owen, Ian Collie and Philip Steuer, and written by Kelly Marcel and Sue Smith. Executive producers are Paul Trijbits, Andrew Mason, Troy Lum and Christine Langan. The film will release in theatres on December 13, 2013, limited, and open wide on December 20, 2013. 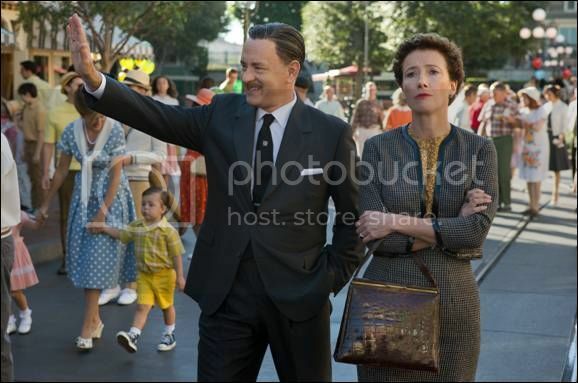 · “Saving Mr. Banks” is the first film to depict the iconic entrepreneur Walt Disney. · Richard and Robert Sherman’s original score and song (“Chim Chim-Cher-ee”) would go on to win Oscars® at the 1965 ceremonies. · “Mary Poppins” won five awards of its 13 Academy Award® nominations: Best Actress (Julie Andrews), Best Effects, Best Film Editing, Original Score and Original Song. Among the nominations were Best Picture and Best Adapted Screenplay. · Disney began his quest to get the rights to “Mary Poppins” in the 1940s as a promise to his two daughters. · P.L. Travers’ father was a banker and is the basis for the “Mary Poppins” story’s patriarch, Mr. Banks—the character in the book whom the famous fictional nanny comes to aid.